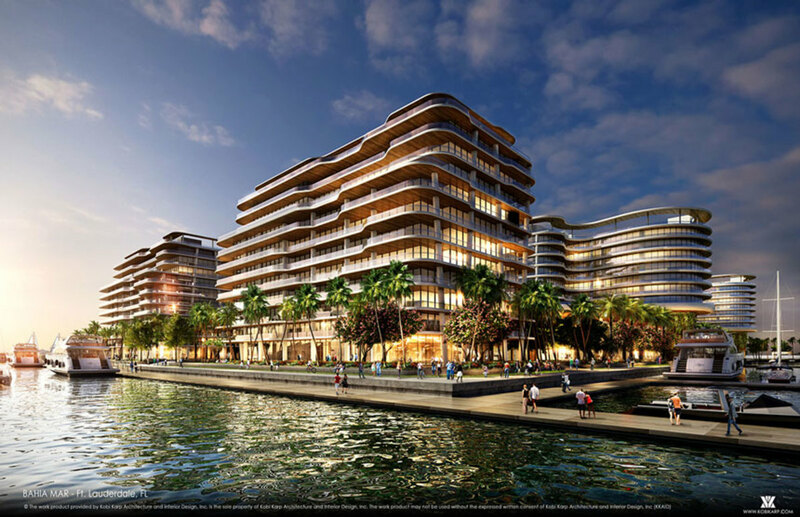 The new Bahia Mar will have public access areas and improved traffic flow. The home of the Fort Lauderdale International Boat Show, the Bahia Mar Resort and Yachting Center, has been approved for a redesign. The public will still have access to the area for daily shopping and use of the Bahia Mar’s public green spaces and park. Residential areas will be 45 feet above the ground to allow for better pedestrian and vehicular circulation and traffic flow. The project is expected to be completed by 2020. One opportunity that the redesign gives Karp is the chance to raise the site to give it a better chance to survive a hurricane and its aftermath such as rising tides and waves. For example, seawalls around the property will be raised.